Biostar has become the latest company to present a new overclocking technology for non-K Intel Skylake processors days after it became clear that users can overclock multiplier-locked 6th generation Core processors by using the BClk clock generator. Biostar’s technology is called HyperOC and to work it requires a Biostar LGA 1151 motherboard based on the Intel Z170 chipset. HyperOC supports all Skylake chips from Pentium G4400 to Core i7-6700 and works on four Biostar boards – the Gaming Z170X, Gaming Z170W, Gaming Z170T and Hi-Fi Z170Z5. All boards are designed for overclocking so users should not have a problem given that they have an adequate cooling solution and a powerful PSU too. Biostar representatives say they were able to take a Pentium G4400 processor from its default 3.3 GHz clock speed all the way up to 4.48 GHz and an Intel Core i3-6100T processor from 3.2 GHz to 4.32 GHz. Of course all this depends on the chip as well and how high it can go. 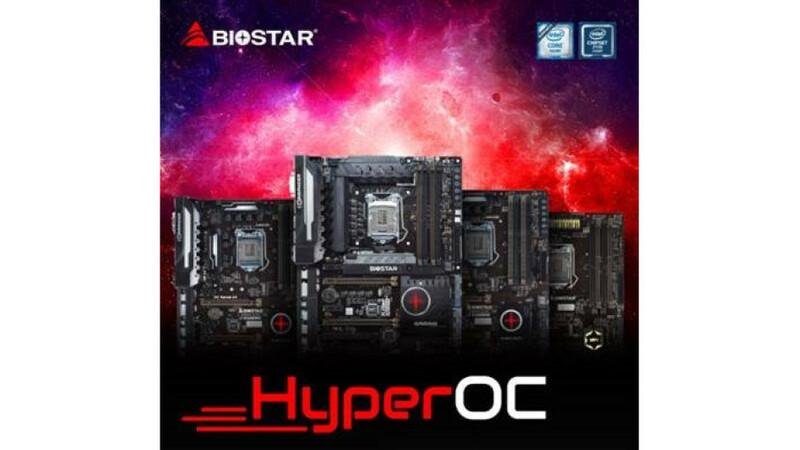 To use the new HyperOC technology owners of the aforementioned four Biostar motherboards should install the latest BIOS before attempting any overclocking.